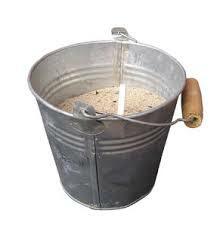 The Royal Grenada Police Force is reminding the general public that sand mining is illegal. Persons engaged in such practice can expect to be arrested and charged according to Section 2 of the Beach Protection Act Chapter 29 of Volume 2 of the 2010 Continuous Revised Laws of Grenada, which makes it illegal for any person to dig or take and carry away any sand, stone, shingle or gravel from the seashore. According to Cabinet Conclusion #782 of 24 June 2013, Gravel, Concrete & Emulsion Production Corporation holds the exclusive rights to harvest and distribute for sale sand from three locations; the Galby and Bacolet Bay in St David and The Canals of Mt Rodney in St. Patrick. The general public is also reminded that pursuant to Section 3 of the said Beach Protection Act, any person using a motor vehicle in furtherance of the commission of an offence under Section 2, the Court shall, in addition to any other penalty, order him or her to be disqualified from holding or obtaining a driving licence for 12 months. As recent as Friday, 29 January 2016, five persons were caught by officers during a beach patrol when their vehicle was intercepted on Cabier Beach, Crochu, St Andrew at about 11 pm. Ricky Lalgie, 31 years old of Marquis, St Andrew, and 4 teenagers, all residents of Marquis, St Andrew, have since been formally charged with the offence of illegal sand mining. They have been placed on bail in the sum of $10,000 with one surety to appear at the Grenville Magistrate’s Court on Thursday, 25 February 2016.